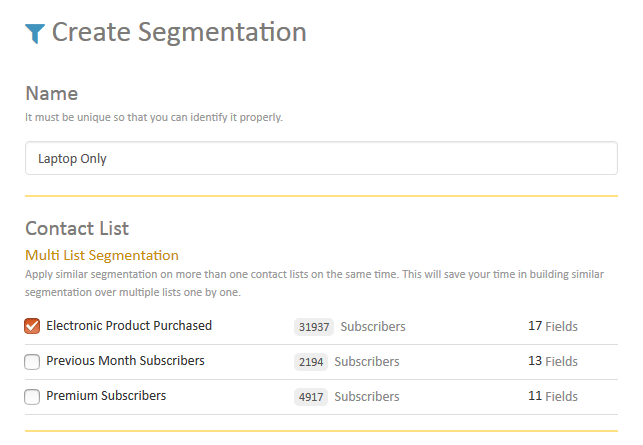 Segment my selected list(s) - Allows you to filter your subscribers who match certain conditions. At the time of creating rule for segmentation, definitely there exist some contacts in chosen contact lists. If user wants to schedule an automation on a segmented list but contact list(s) may change over the due course of time. In this case, you have to edit your segmentation again and again or even has to design a new automation.  Task multi-folds when segmentation is used in many campaigns and automations. This use-case can easily be handled with Multi List Segmentation. 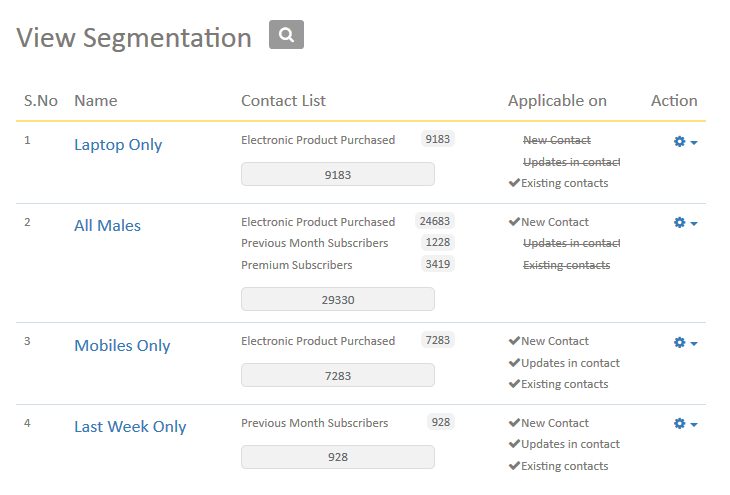 All "you" need to do is just add or remove contact lists from the Multi List Segmentation.